Who is the November Boy? A taciturn young stranger arrives each year at the family estate from who knows where, before disappearing once again into the unknown. The story follows the relationship of the narrator, Bernat of the Barralh, with this enigmatic figure. With the passing of each season and the slow decline of the family fortunes, the invalid Bernat’s obsessive search for meaning leads him to further transformative encounters – with Polish emigrée Maria Doloriska, his distant cousin Denisa and ‘the machiner’. 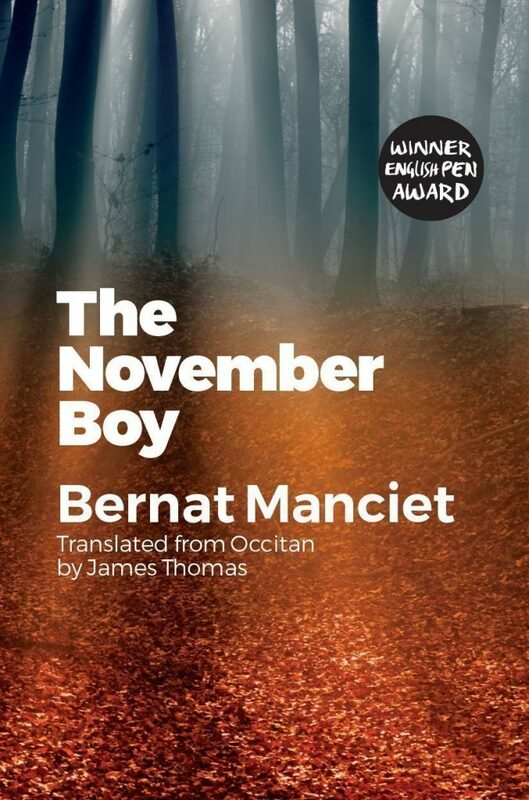 Bernat Manciet, born in Sabres in 1923, was a poet, novelist and dramatist – one of the most important Occitan writers of the twentieth century and a major figure in European literature. Immersed in the classics, the long history of Gascon literature and the great contemporary writers of Europe, Manciet patiently helped construct a modernist Occitan literature. His first collection of poetry, Accidents (1955), caused shock waves within Occitan literature with its formal experimentation and stream-of-consciousness lyricism. First published in the journal Òc in 1964, The November Boy (Lo gojat de noveme) was a major success in forging a specifically Gascon-language literary prose that responded to the universal concerns of the modern age. James Thomas is a London-based translator and researcher who has published widely on Occitan literature, wine and the 1960s (www.mezura-translations.co.uk). He is the editor of Grains of Gold, an Anthology of Occitan Literature (2015) and translator of Aurélia Lassaque’s Solstice (2012). Currently preparing a new anthology of Catalan literature for Francis Boutle Publishers, his alter-ego scribblings can also be found at https://theregencymod.wordpress.com. Home is like a different time, first published in Galician in 2011, is widely regarded as one of the most significant novels to engage with Galicia’s centuries-long history of emigration.